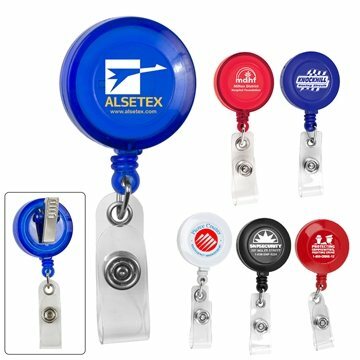 30" Cord Round Retractable Badge Reel and Badge Holder with Rotating Alligator Clip Backing. Very classy look and practical too. this is a great color! Prompt delivery. Product met expectations. they have all been great!!! I am sure they will last for some time. Our logo looks great! Delivery timing was excellent.